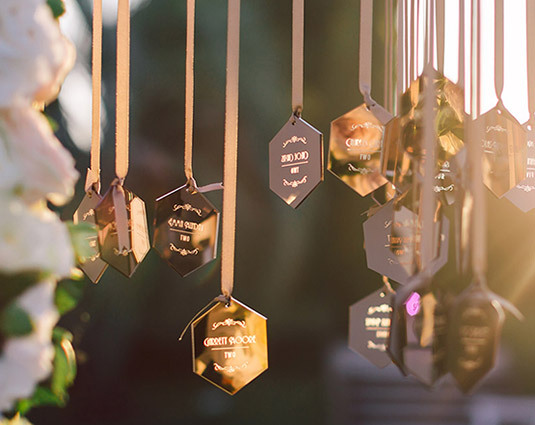 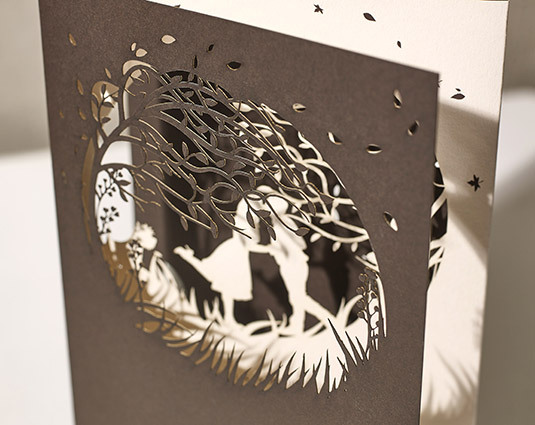 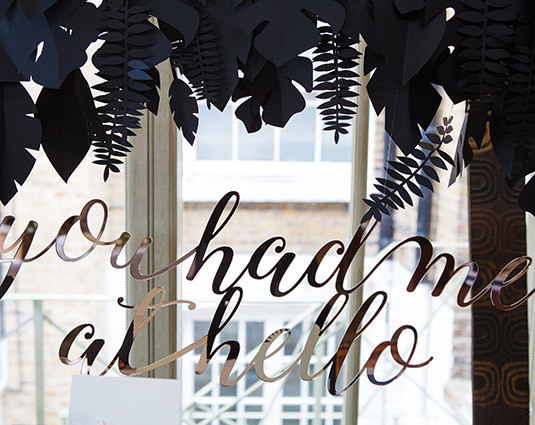 A true fairytale invitation suite illustrating the couple’s journey from a New York proposal to their favourite past times, all laser cut with a custom poem commissioned, especially for the invitation. 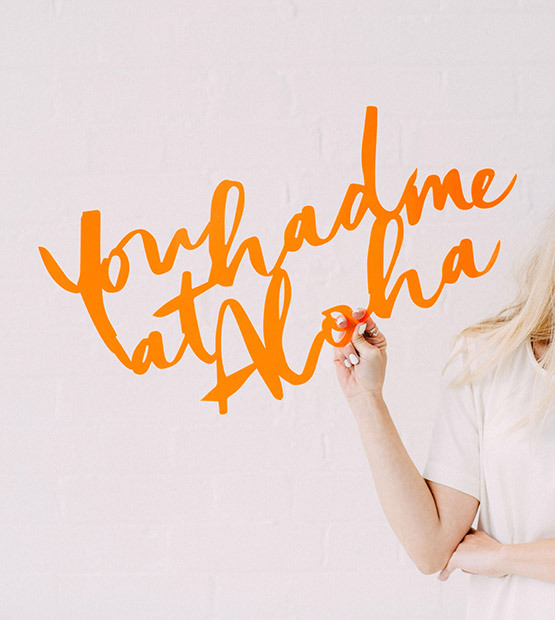 A winter wedding bursting with personality and fun, working with Lisa and Dean was a dream, Lisa, a wedding planner herself, knew exactly what she wanted. 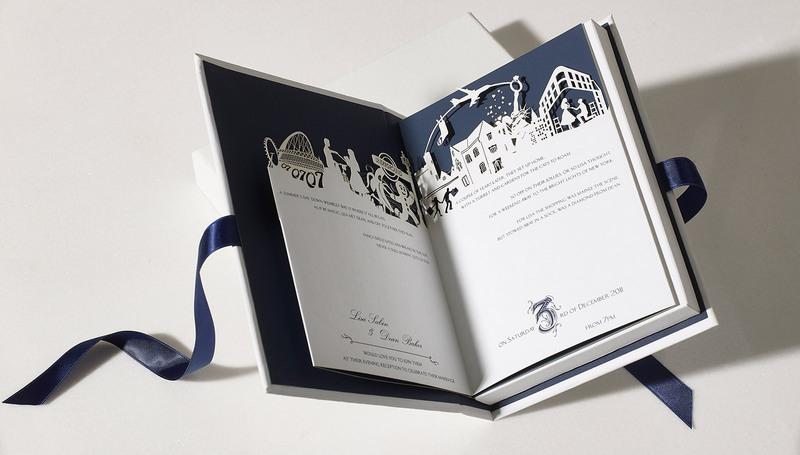 Prior to the invitation, we created a fun save the date, the wording was artworked to be pulled out like a spiral to create a hanging decoration ready for Christmas as the wedding was on 3rd December. 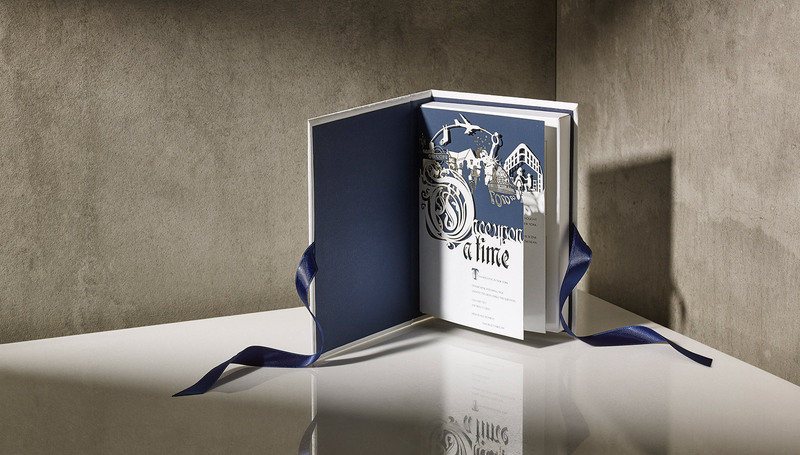 The invitation itself incorporated our synonymous storyboard design, laser cut illustrations of Lisa and Dean’s life story together, with a bespoke poem and housed as an actual bound book. 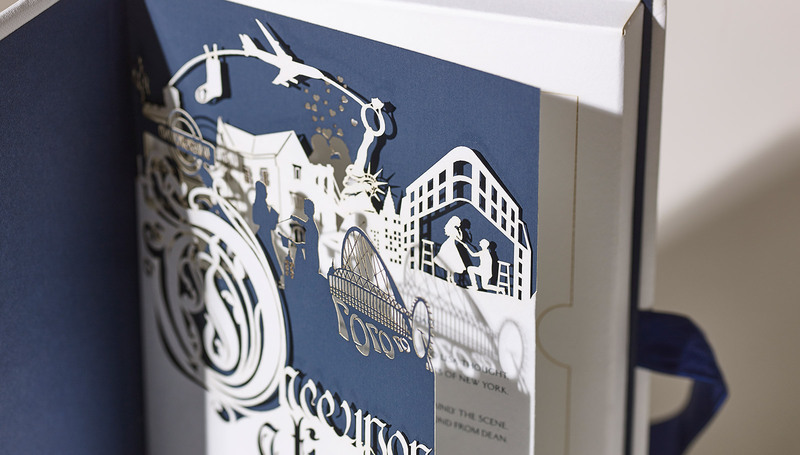 We created a box in the back which was designed to have a door that opened, like an advent calendar, housing a special chocolate gift. 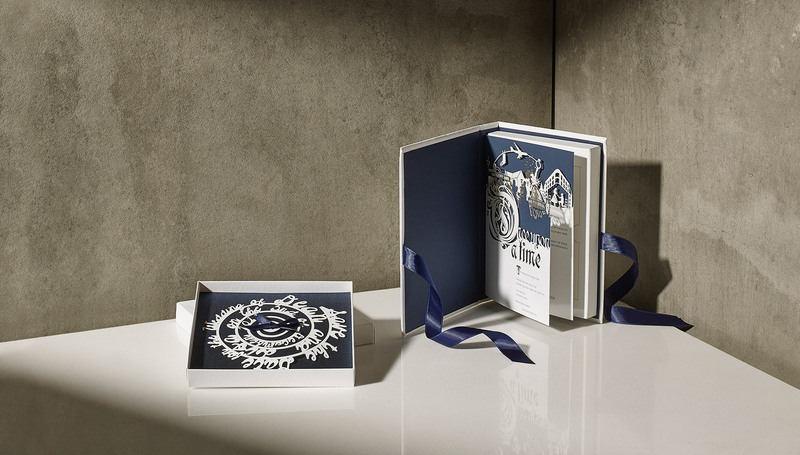 Hardback book invitation covered in luxury embossed G.F.Smith stock, laser engraved to the front with monogram detailing and lined in imperial blue. 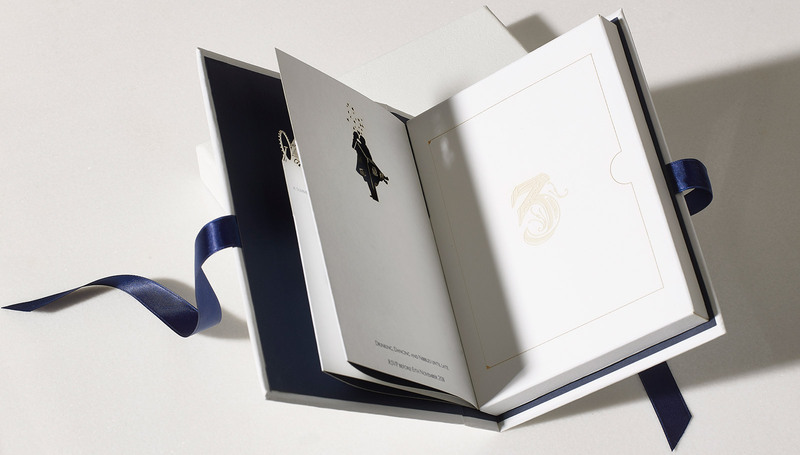 Fastened with imperial blue silk ribbon. 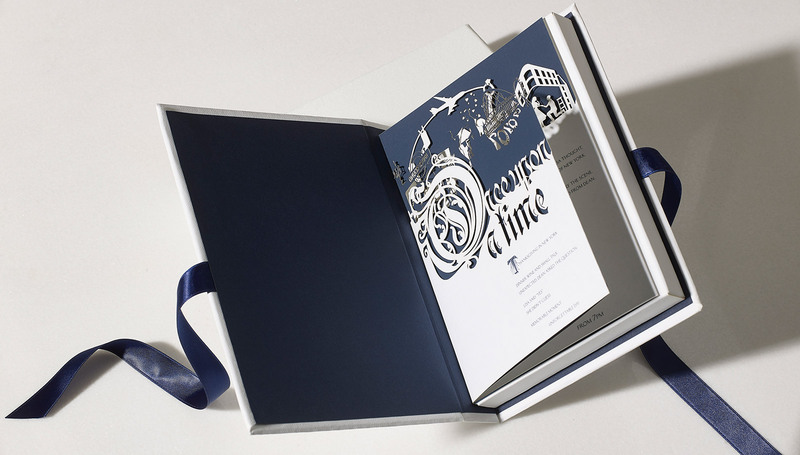 Concertina pages intricately laser cut with illustrative story details and silk screen printed in imperial blue. 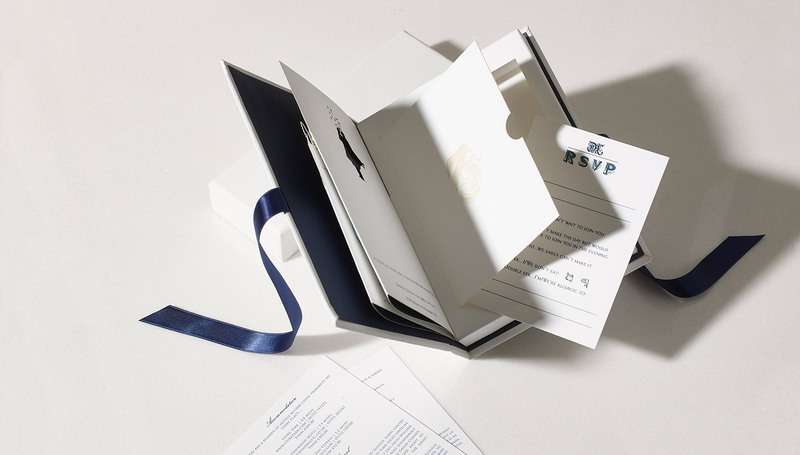 Digitally printed information and reply cards housed in laser engraved, perforated compartment within the invitation. 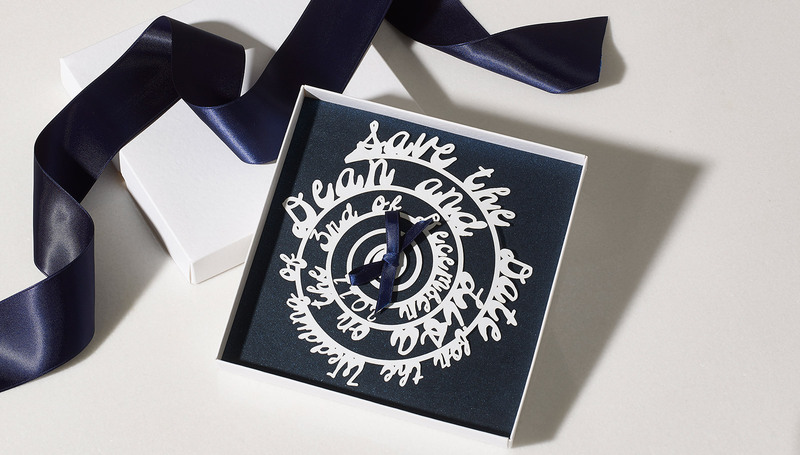 Spiral save the date decoration in pristine white with imperial blue silk ribbon sat within custom made pristine white boxes lined with imperial blue. 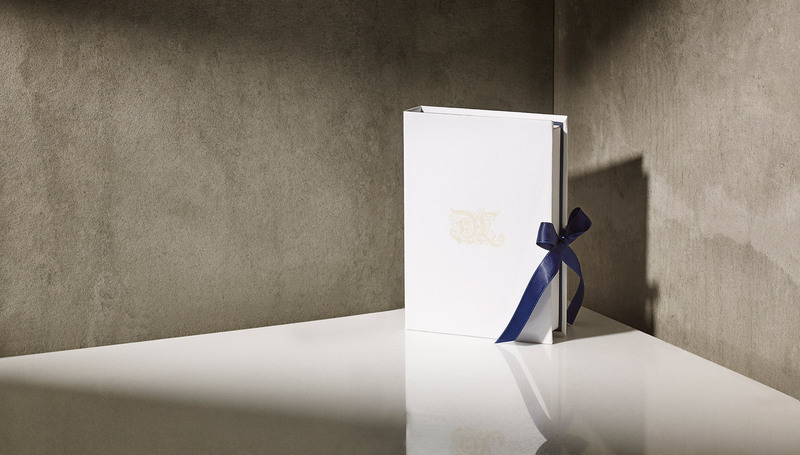 We welcome you for a design consultation of your own, tell us your story and then we can create an invitation of a lifetime together for your wedding day.